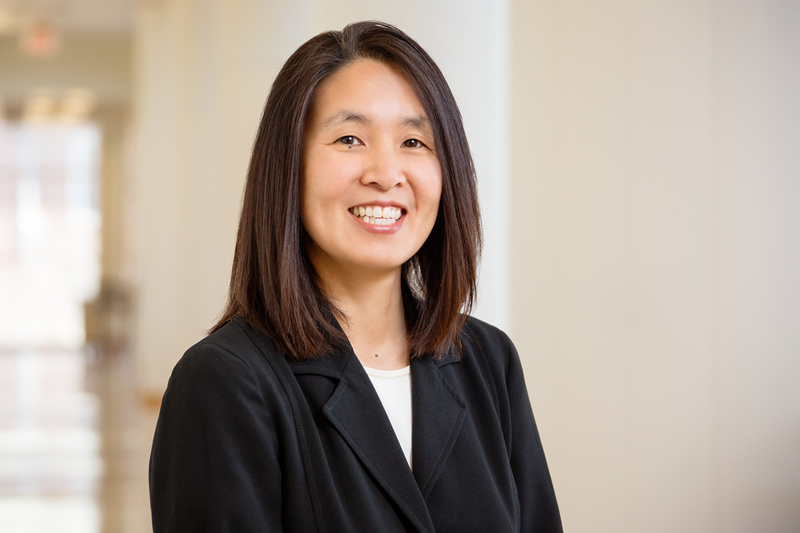 The Supreme Court “punted” on the issue of partisan gerrymandering in a June 18 ruling, but left the door open to future court action, says Wendy K. Tam Cho, a professor of political science, statistics, math and law at Illinois. She hopes to be part of the solution with research that employs algorithms and supercomputers to draw nonpartisan maps. The Supreme Court on June 18 sidestepped a chance to rule on the limits of partisan redistricting, or gerrymandering. Wendy K. Tam Cho, an Illinois professor of political science, statistics, math and law, and research colleague Yan Liu’s work on gerrymandering, which employs the Blue Waters supercomputer at Illinois, was cited in amicus briefs submitted to the court. Cho also proposes solutions in a column for Nature posted today. She spoke with News Bureau social sciences editor Craig Chamberlain. Can you explain the court’s actions? The court unanimously ruled that the Whitford plaintiffs did not have “standing,” which means that they failed to show a particularized individual injury, which is required for litigation in federal court. Since there was no standing, the court did not rule on the merits of the case. Importantly, it also did not preclude such a ruling in the future. In short, the court punted, saving a big ruling on partisan gerrymandering for another day. For now, it gave specific guidance on how to establish standing for a partisan gerrymandering case, which primarily centered around bringing district-by-district claims rather than a statewide claim. This makes future cases more intricate and complex for lawyers, though because the court left everything on the table, a carefully crafted case may still evoke a forceful response from the court for curtailing gerrymandering. What happens with this gerrymandering case now? The case has been returned to the lower court to give the plaintiffs an opportunity to prove concrete and particularized injuries to the individual plaintiffs. One of the plaintiffs’ lawyers has already said they would return with additional plaintiffs/voters from other Wisconsin districts. Rather than bringing a statewide claim, the plaintiffs may return with a district-by-district claim. They may also still pursue a statewide claim, but using a novel legal theory arising from the First Amendment. At this point, the lawyers will need to confer on the best course of action. Where does this leave us going into the 2020 redistricting cycle? It is unlikely, but not impossible, for the Supreme Court to still act before the 2020 redistricting cycle. The Whitford plaintiffs could establish standing or formulate a new legal theory and be back in front of the court in time for a ruling before 2020. There are also other pending lawsuits. For instance, North Carolina, Michigan and Ohio are in the midst of partisan gerrymandering challenges. It is also possible that some states will now choose to fight their battle in state court, following Pennsylvania’s successful gerrymandering challenge in state court earlier this year. There remain many paths for relief. Certainly, the battle to end partisan gerrymandering is not over. How does this decision affect your work on gerrymandering that centers around algorithms and supercomputers? My work and vision for the impact of technology on the redistricting process has not changed. Since the Supreme Court did not rule on the merits of the case, we will continue to develop the theoretical foundations for statistical simulation as the basis for a manageable standard for partisan gerrymandering. Outside the legal realm, the role of technology is even more pertinent. While the courts have the ability to stop gerrymandering after it happens, technology has the potential to stop gerrymandering before it happens. Our hope is to move technological advances in the direction of supplying objective information that empowers the inclusion of diverse societal groups and enhances human deliberation. We aim to create technological innovations that improve the inclusiveness of the conversation around fairness in electoral maps. So far, technology for redistricting has led only to the exclusion and isolation of power. Moving forward, we must harness the power of technology to ensure democracy. The promise of technology is to augment human capabilities to engage in productive, inclusive and contemplative decision-making about how society is governed. To reach Wendy Tam Cho, call 217-333-9588; email wendycho@illinois.edu. A 3-minute Vox video from April 2017 explains Cho and Liu’s gerrymandering research and can be found here. Their research also is the subject of a 2016 paper in the Election Law Journal and they were co-authors on a recent paper for the William & Mary Law Review.